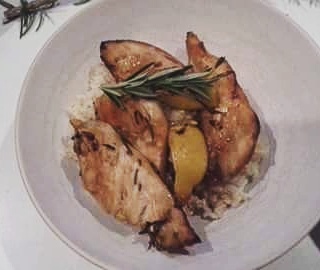 After going through the "comments" with the recipe, I thought to myself: the ingredients are healthy, and the lemon and rosemary would give a nice tangy twist to the chicken. Looks and sounds yummy! I finally managed to try out the recipe myself earlier this week, and I have to say that baking lemon rosemary chicken using the airfryer is one of the fastest dishes I have ever cooked. Serve this with bread/ rice and vegetables and it makes a quick and easy meal! The family especially loved the rosemary aroma, something uniquely different from the way we usually cook our chicken Oriental-style. Below is my slightly-adapted version of the original recipe (with permission from Amy Chai). Enjoy! 1) Marinate ingredients in (A) together for at least 30 min. 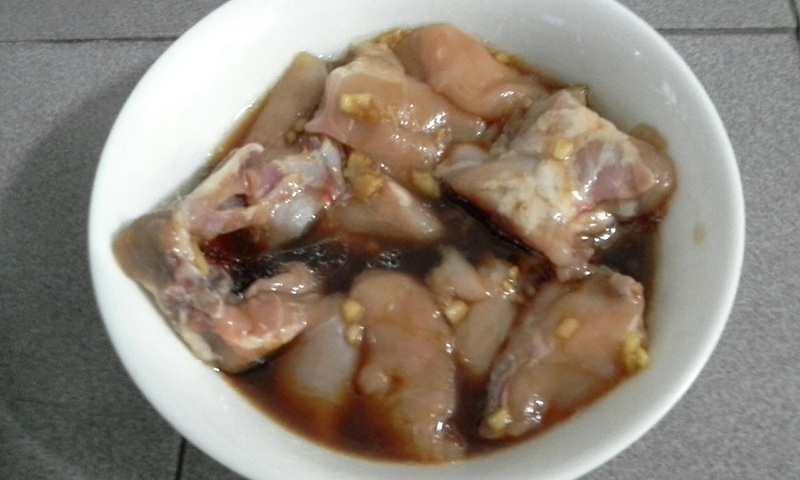 Chill in refrigerator while marinating. 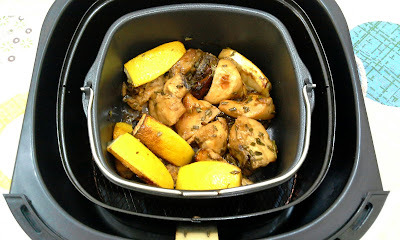 Pour over the chicken and marinate for 30 min. 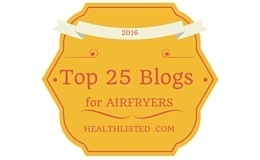 2) After 30 min, preheat airfryer 200 degrees for 3 min. 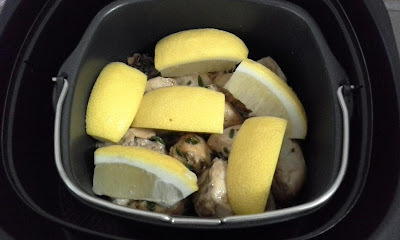 3) Transfer the chicken (with the marinates) into a baking pan. 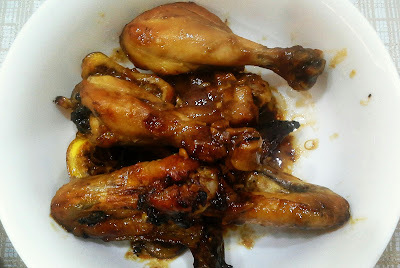 Bake in airfryer at 200 degrees for 6 min. 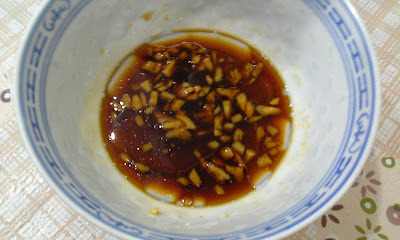 4) Meanwhile, prepare the sauces. 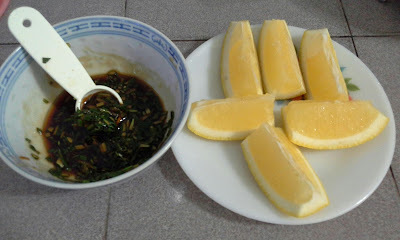 Mix ingredients in (B) except the lemon wedges together. 5) Pour ingredients in Step #4 over the half-baked chicken. Spread the lemon wedges evenly in the pan and squeeze. 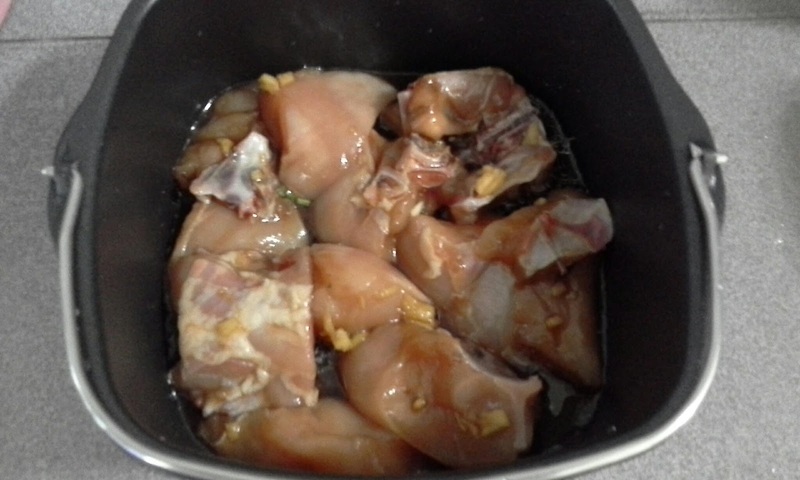 The lemon juice and zest will brighten the flavour of the chicken while tenderizing it. 6) Continue to bake in airfryer at 200 degrees for another 13 min, turning the chicken pieces halfway to ensure that each piece is evenly browned. You are now ready to serve. If you are using Philips' baking tray, just remove it and serve. Enjoy! 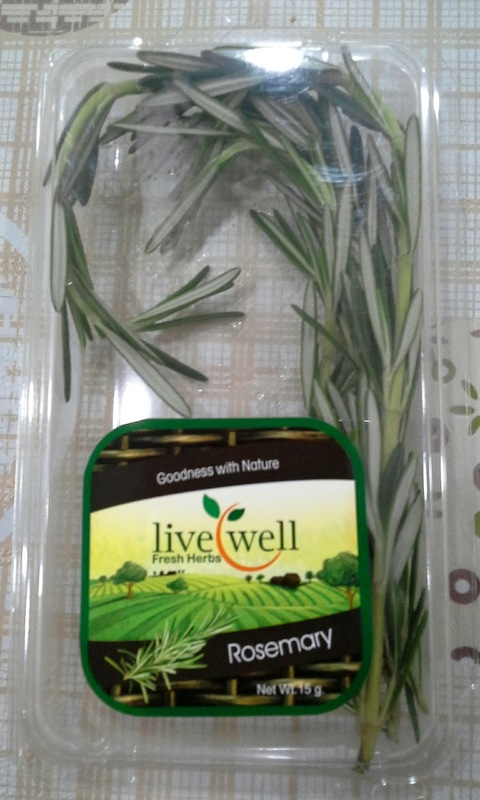 If you don't have rosemary in your kitchen, feel free to go without! 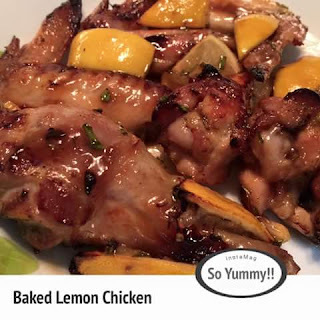 Thank you Alison Bastick for sharing your rosemary lemon chicken. Looks really succulent and yummy! If you have tried this recipe too, share your photos with us on Facebook!